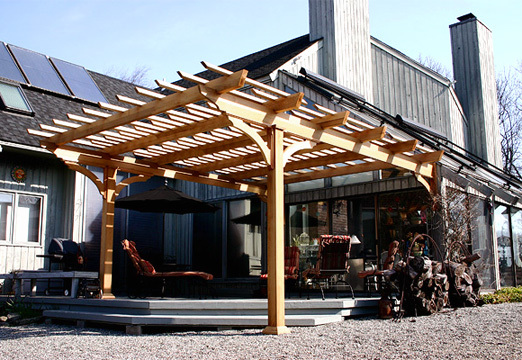 A contemporary home and a very sunny deck were the design catalysts for this louvered pergola. The 2" x 6" rafters were notched and angled at 45 degrees to give sun protection while reflecting the angular nature of the home. 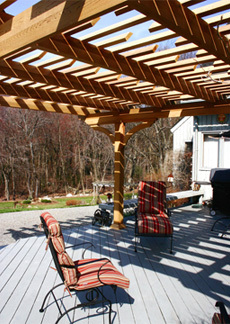 Purlins were then placed over the rafters at 5" on center for added sun protection, after these photographs were taken.